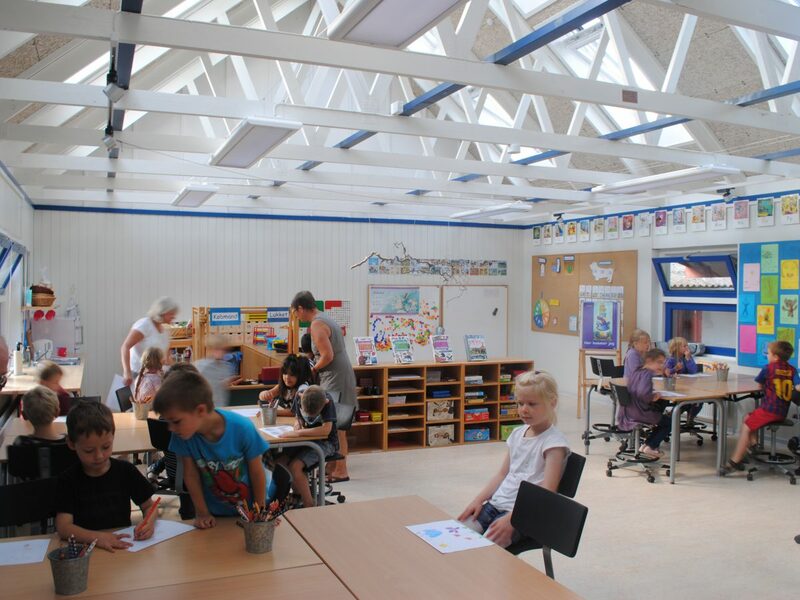 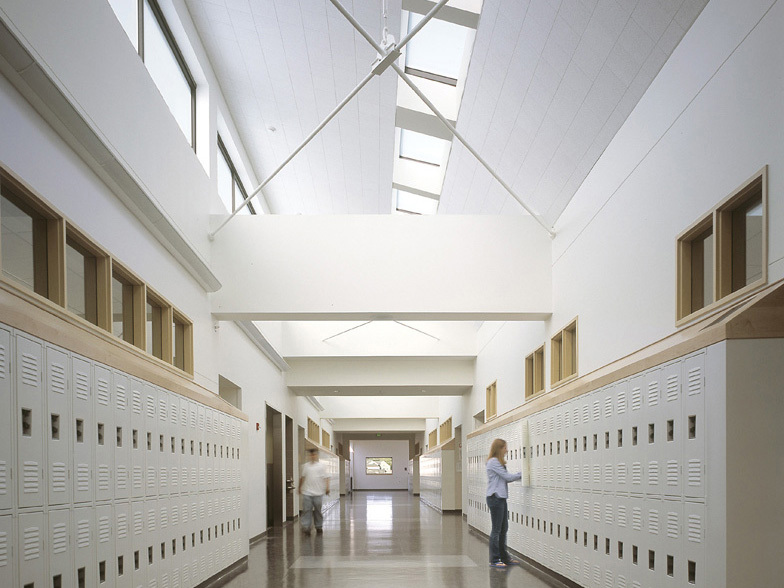 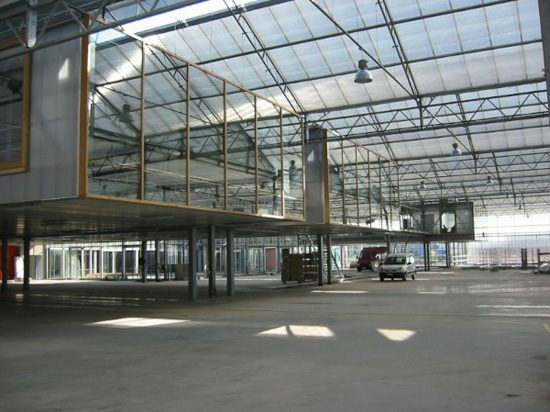 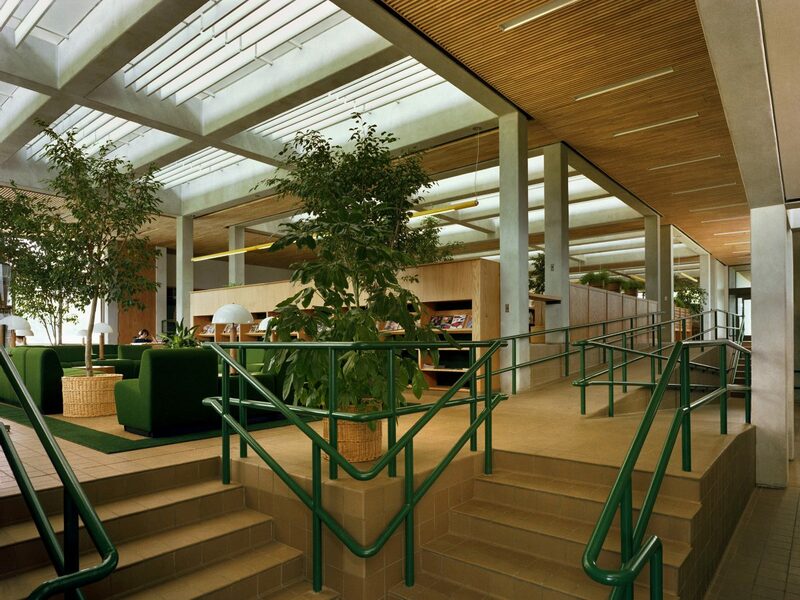 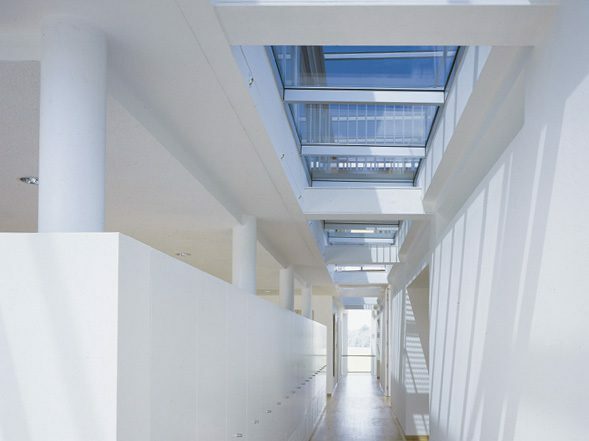 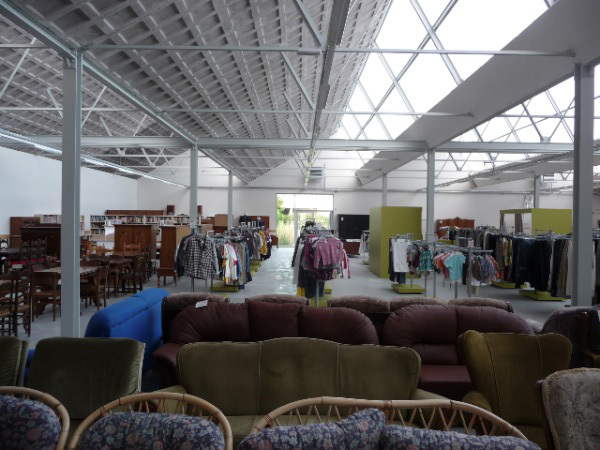 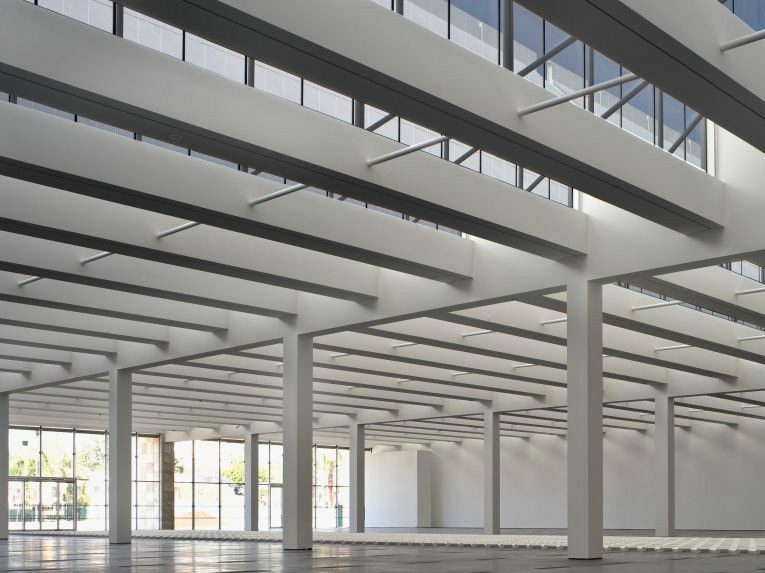 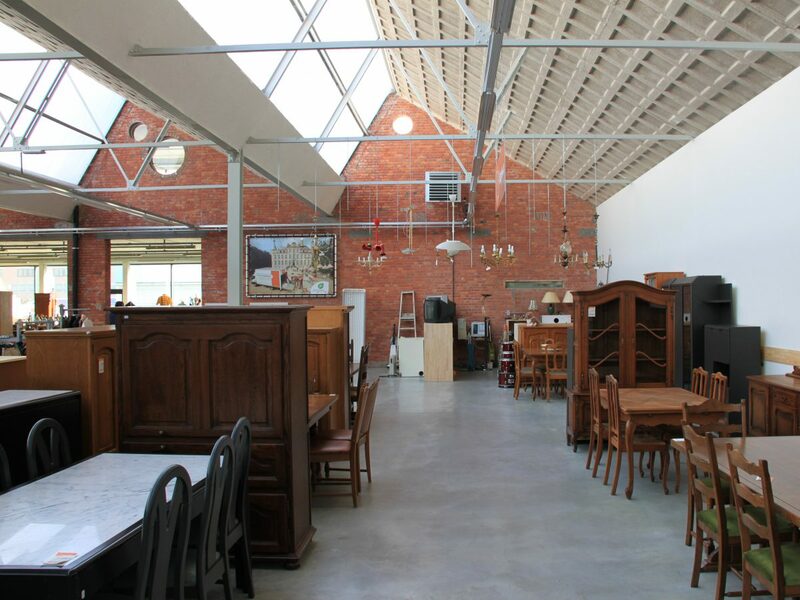 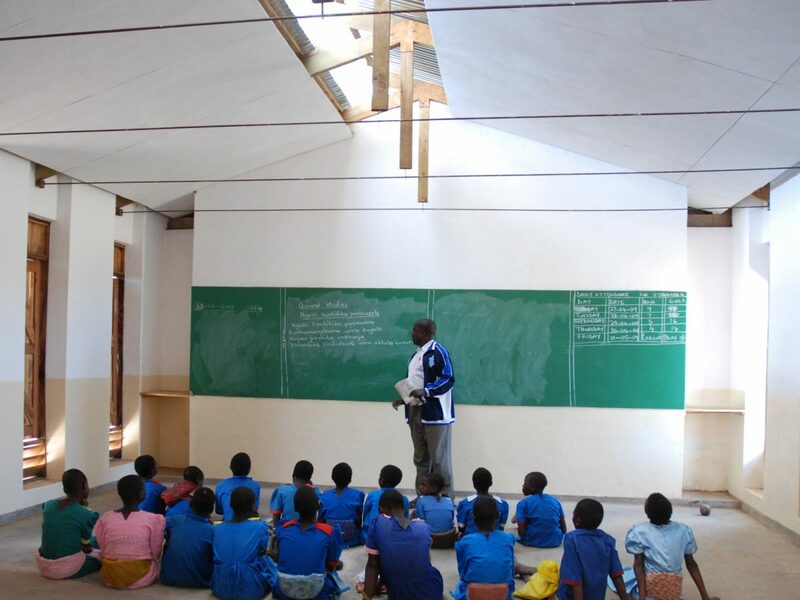 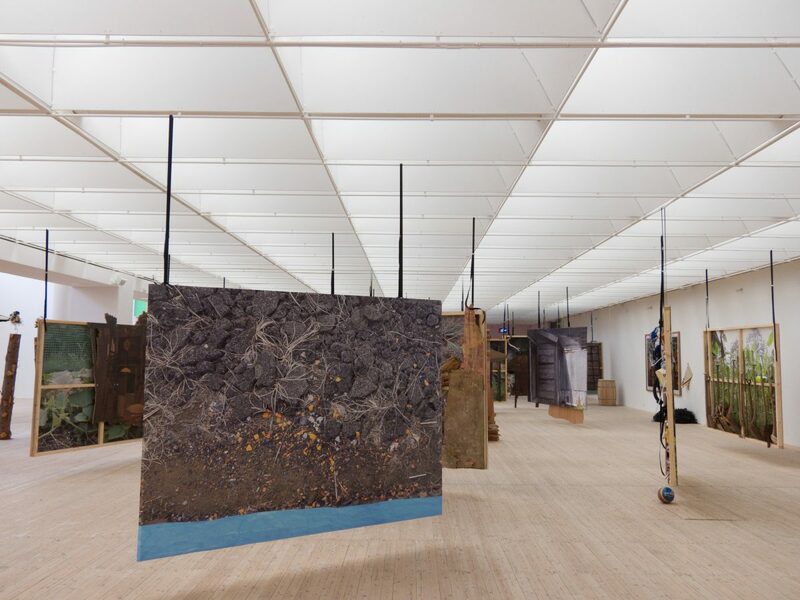 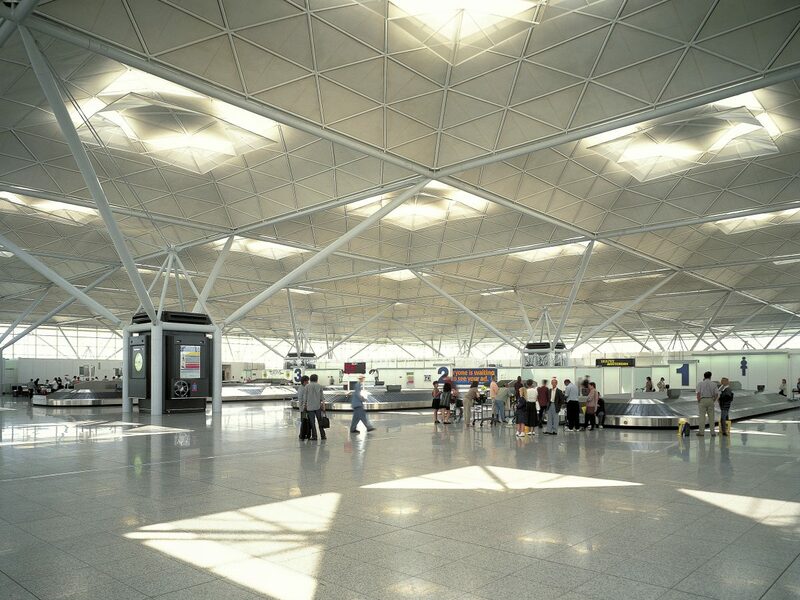 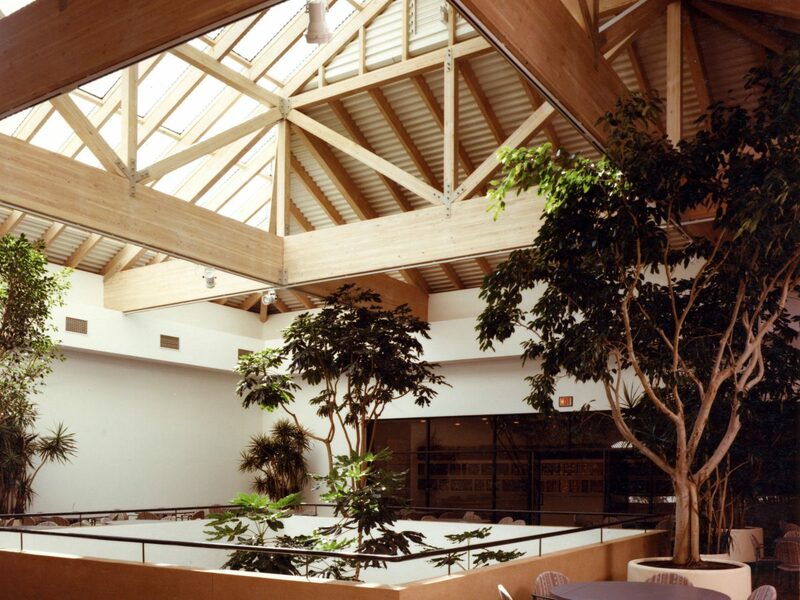 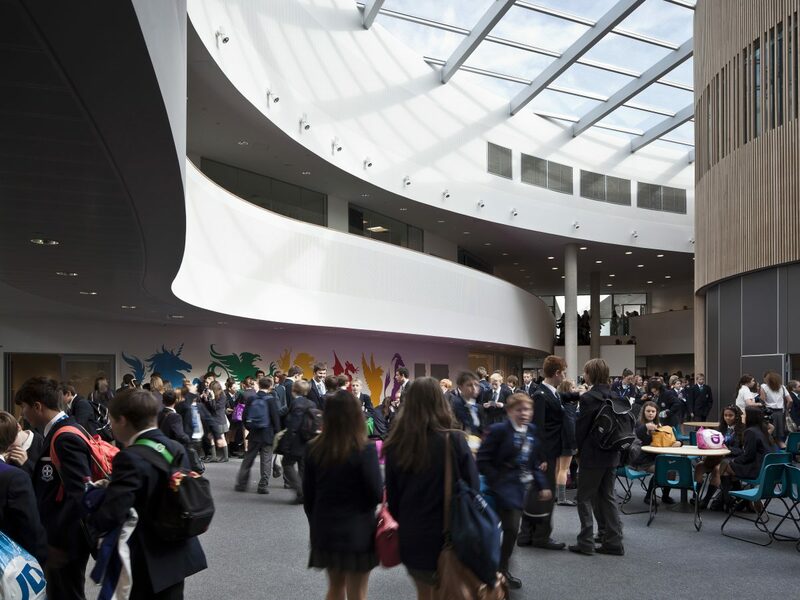 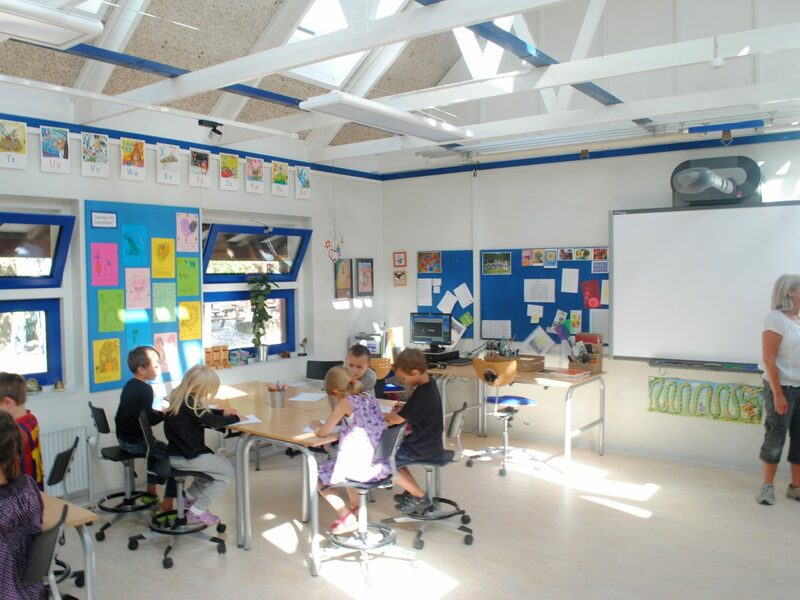 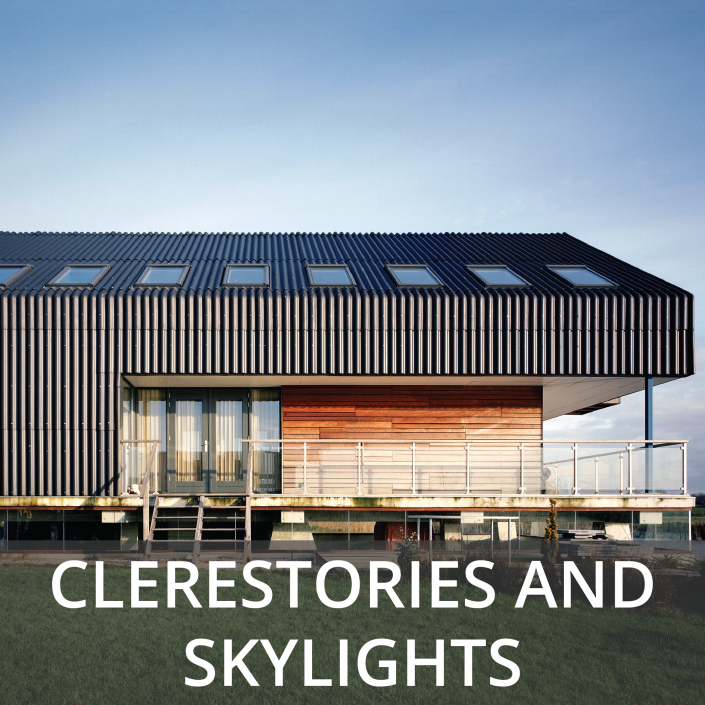 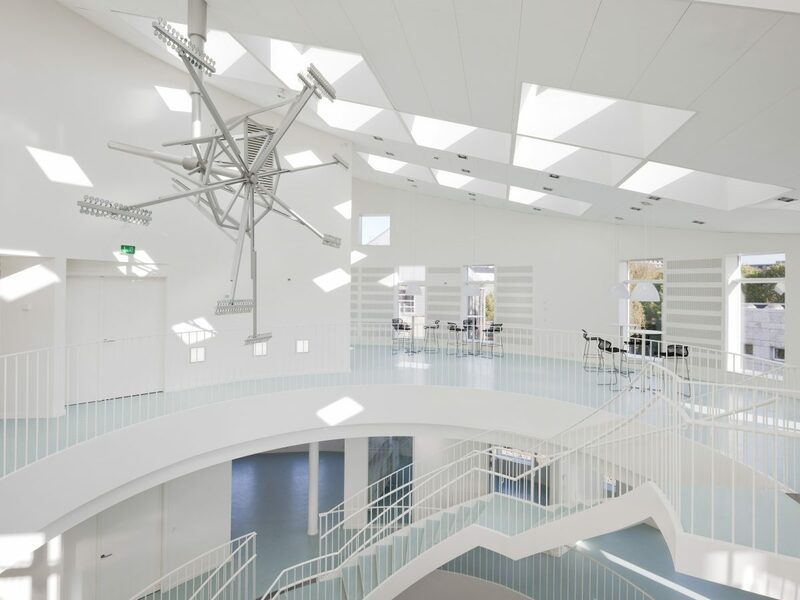 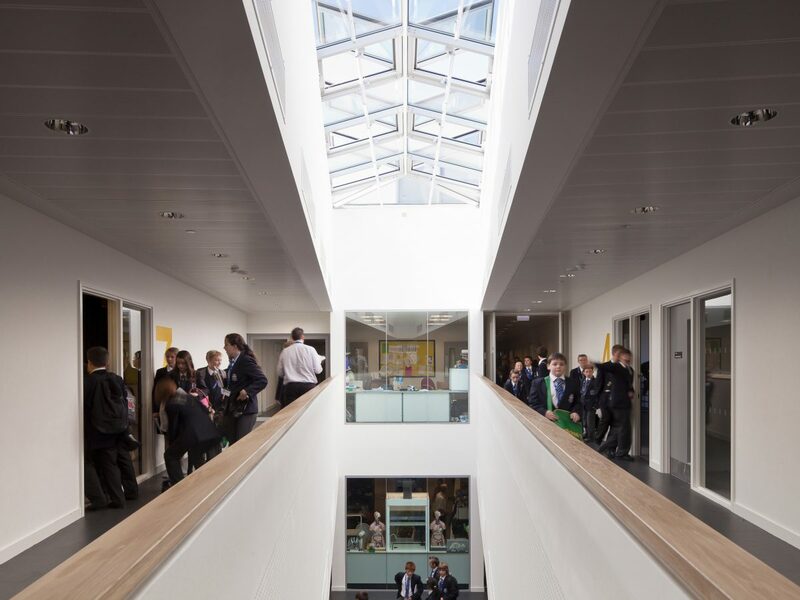 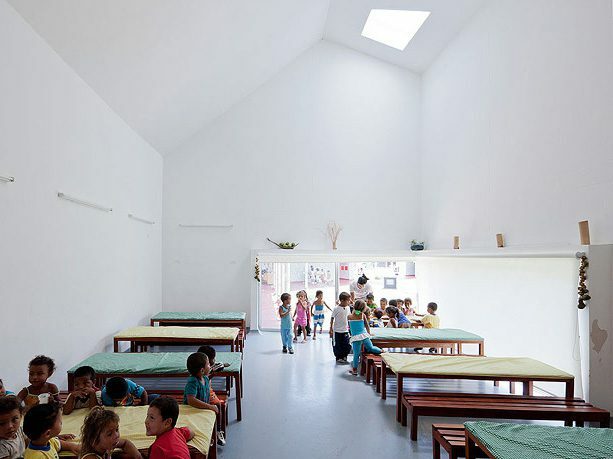 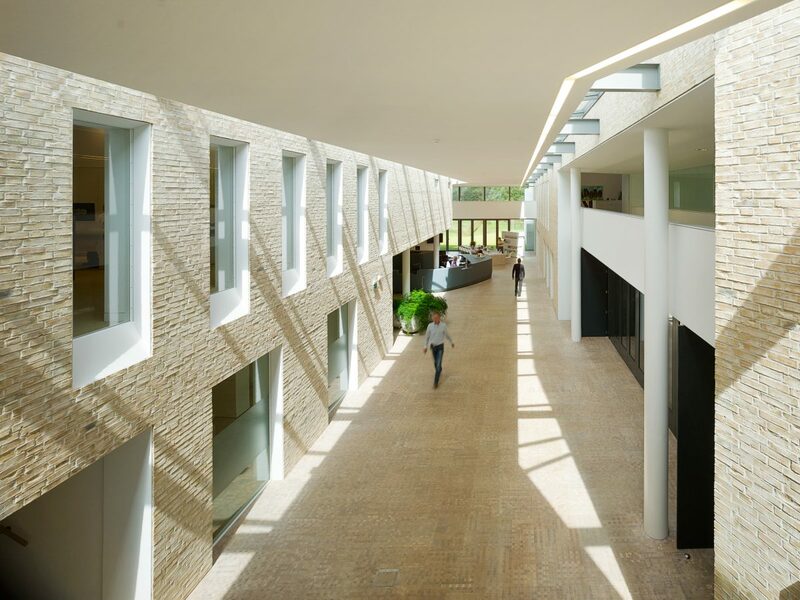 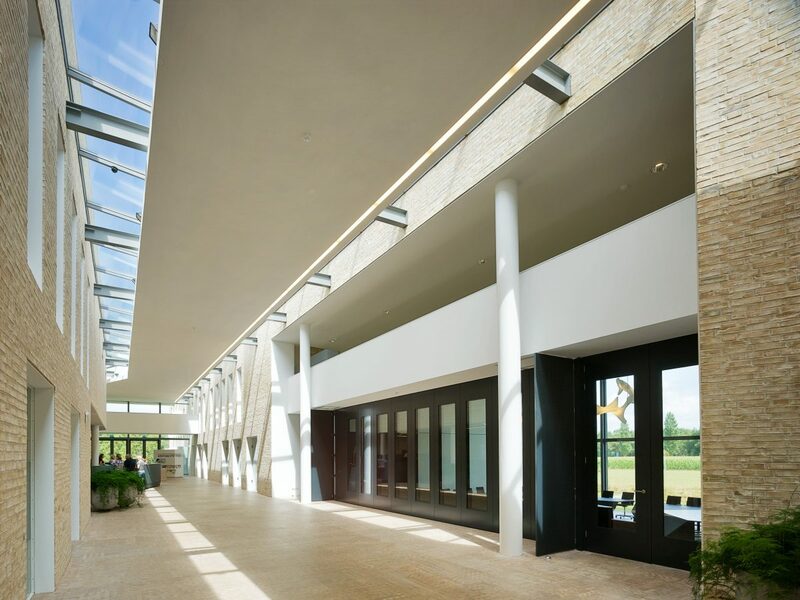 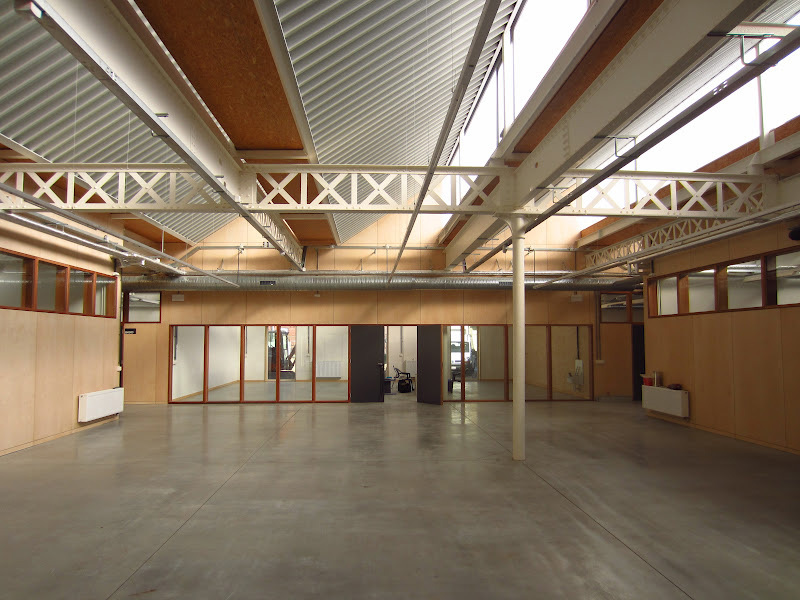 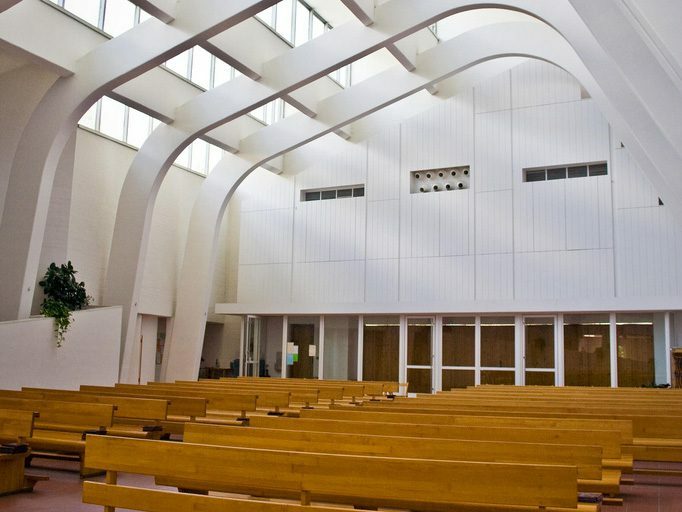 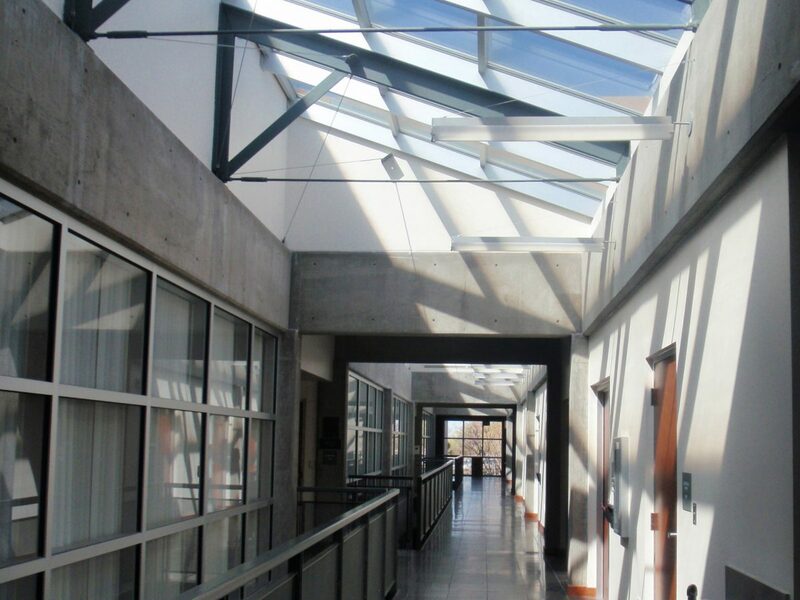 Skylights, roof monitors and clerestories introduce and distribute daylight to spaces with exposure to the roof plane. 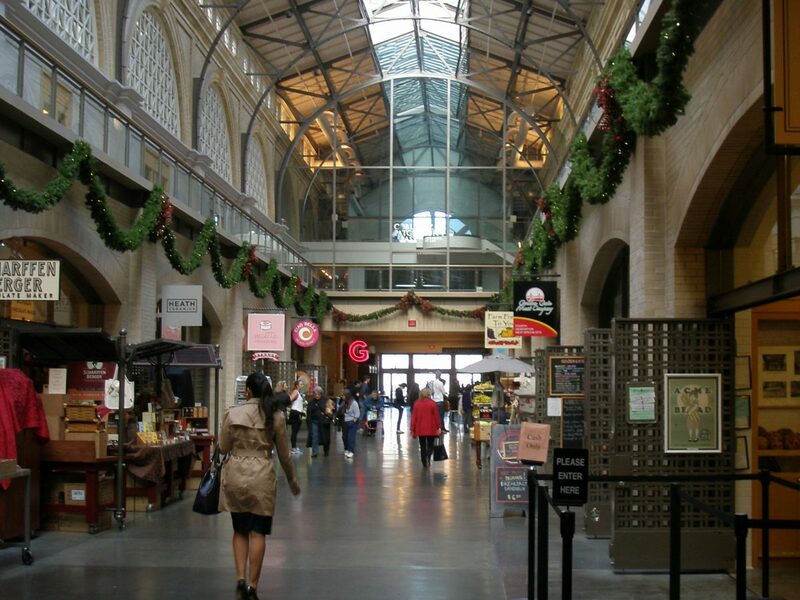 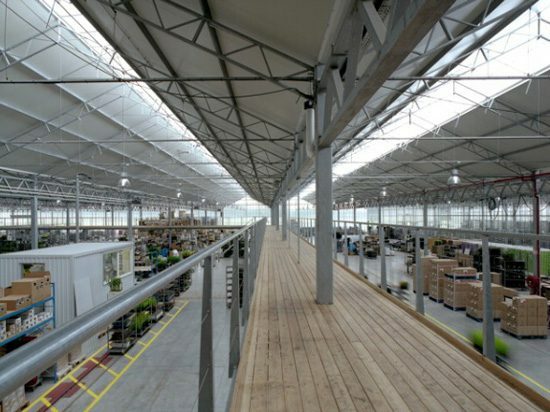 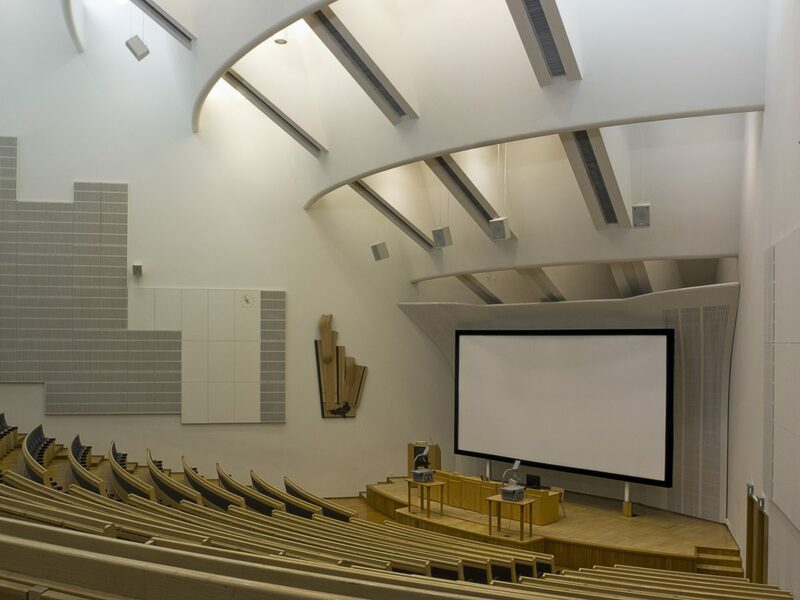 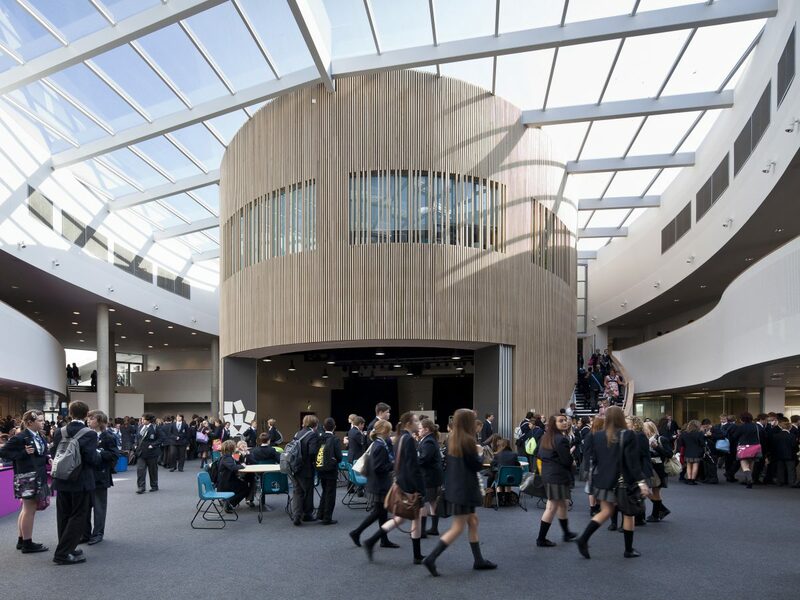 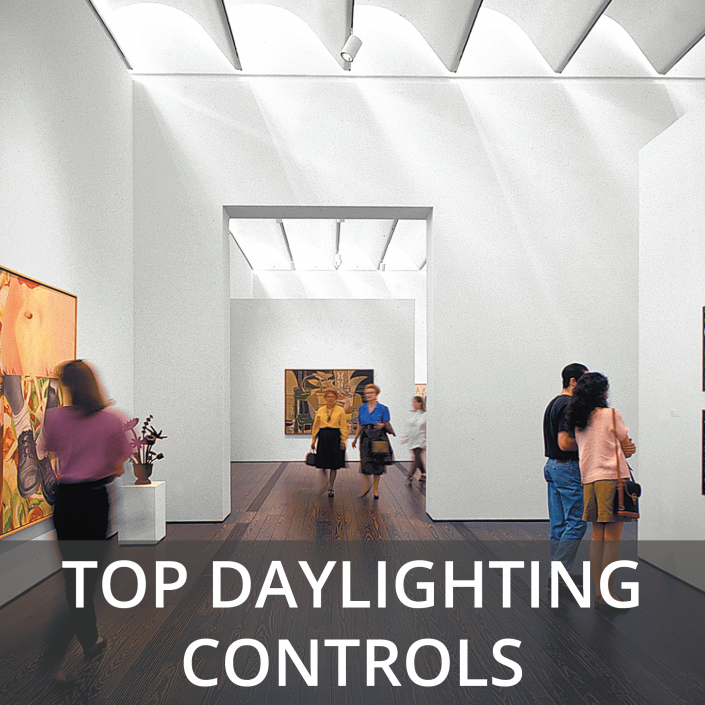 The advantage of top daylighting is access to the entire skydome, consistent distribution of daylight, easier glare control, and the daylighting of interior spaces and large floor area spaces of any shape. 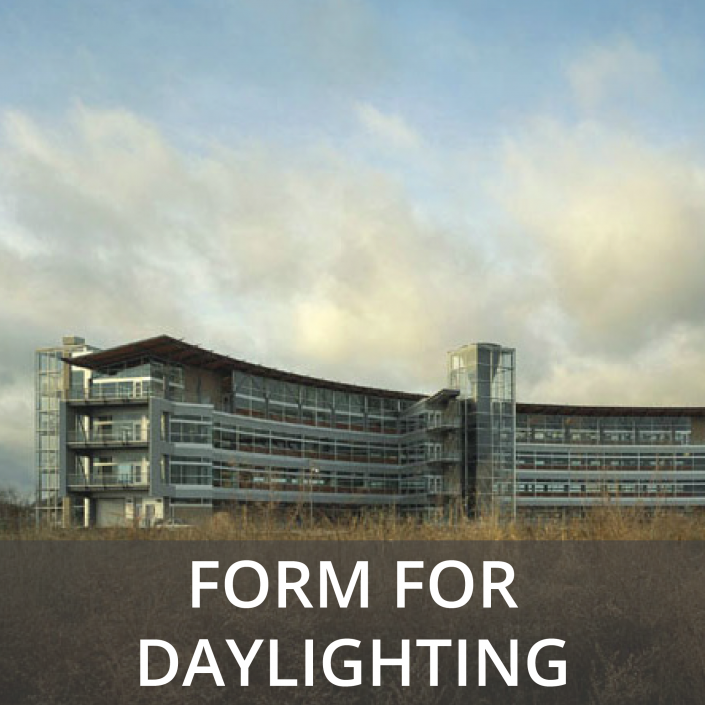 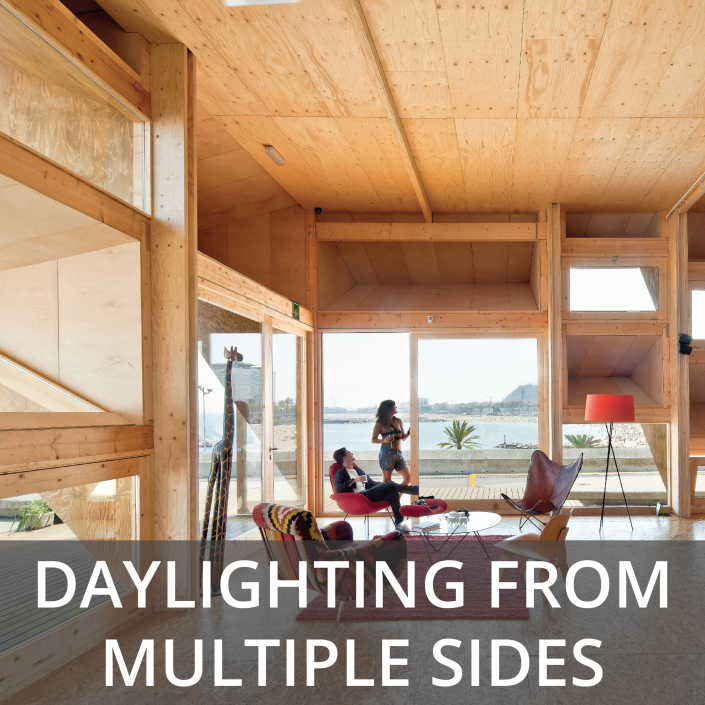 Make the daylighting glazing area a minimum of 10% to 20% of the floor area to be daylit. 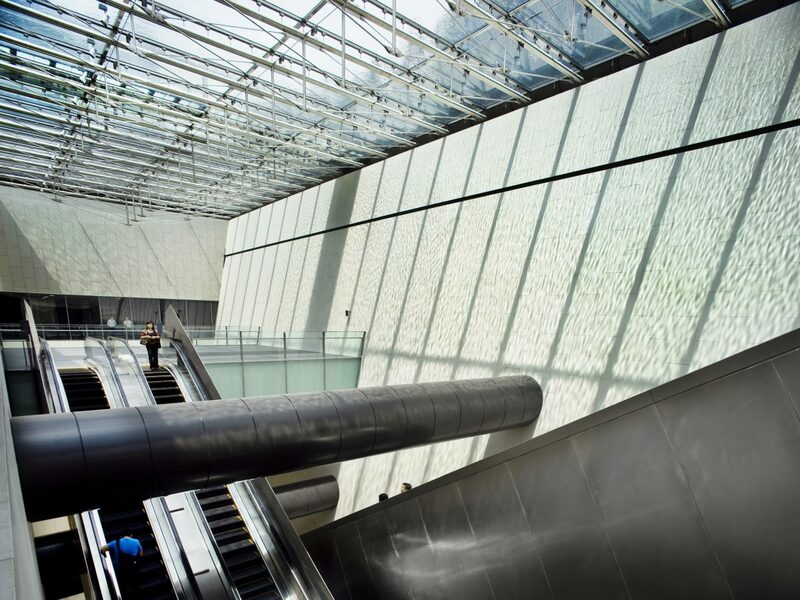 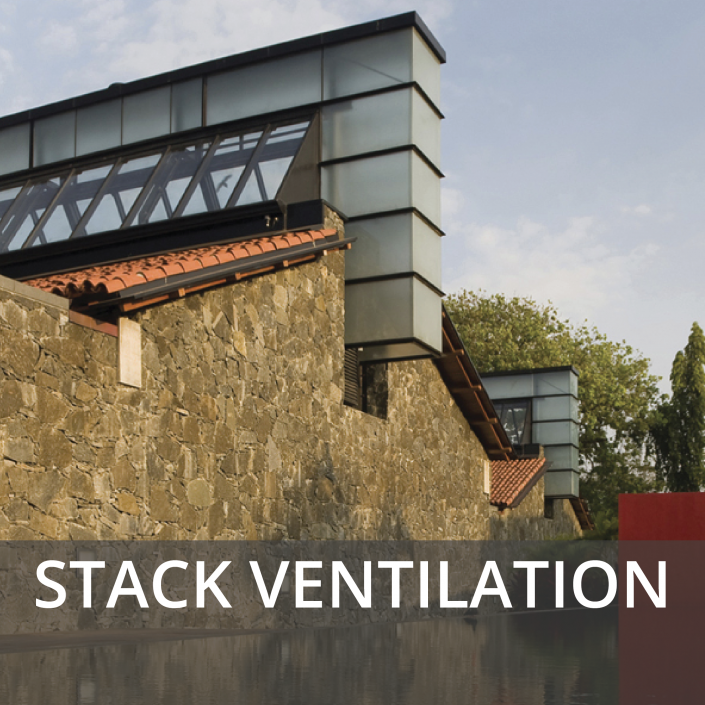 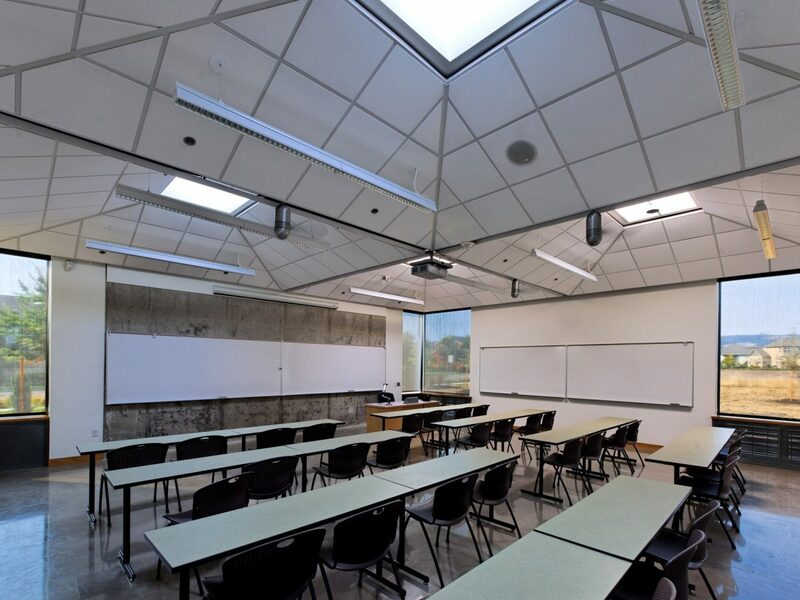 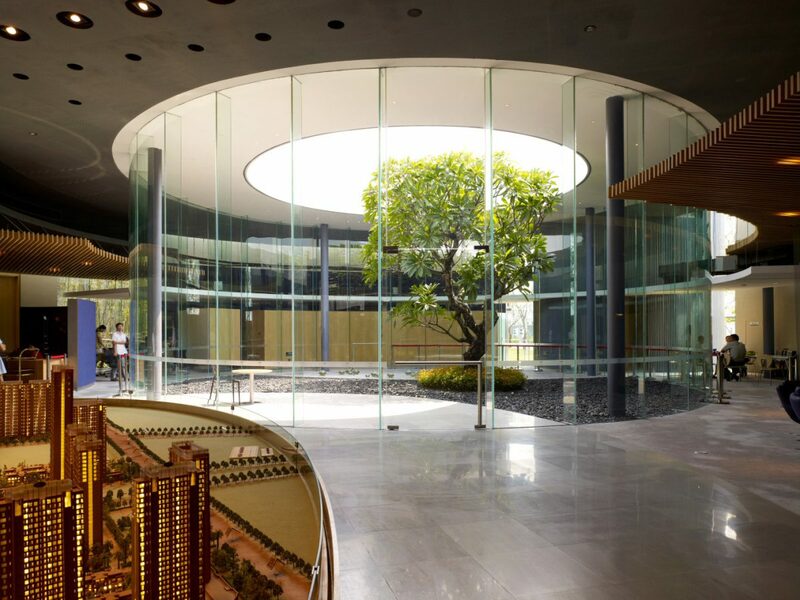 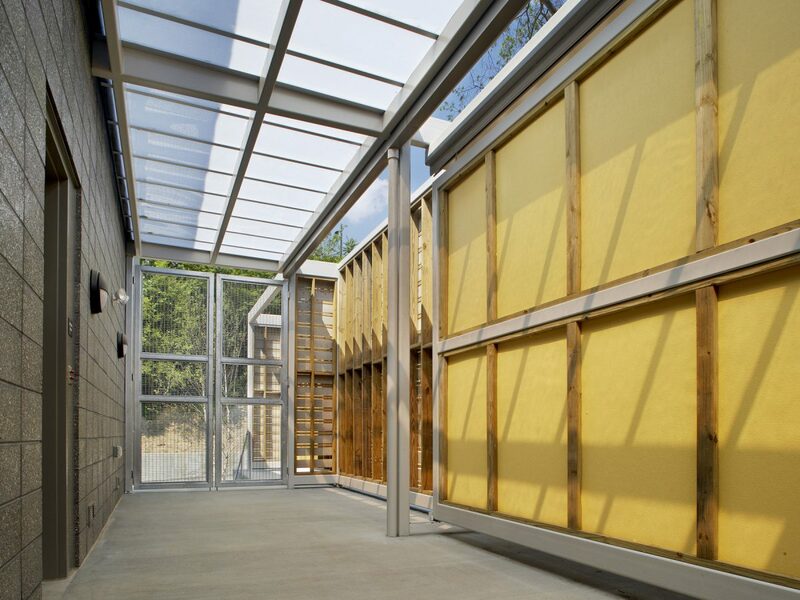 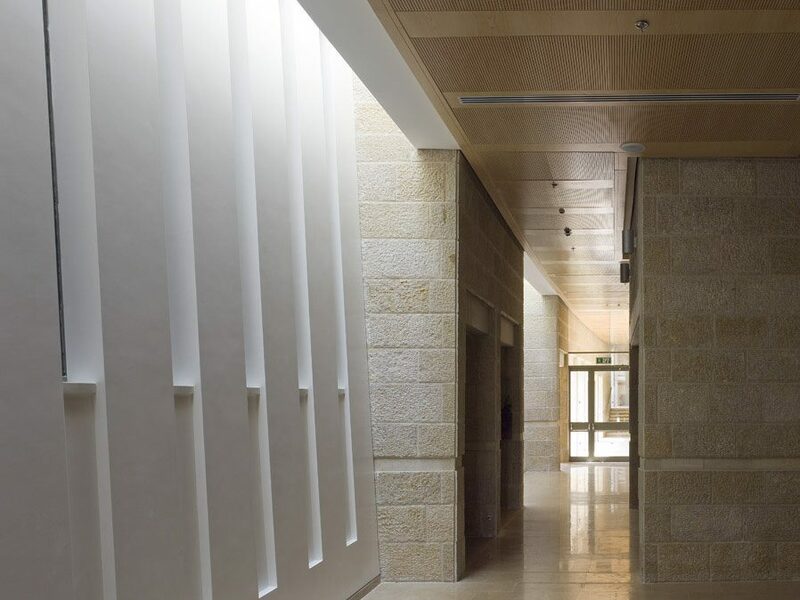 In critical task areas, filter and distribute direct sunlight over a space by using a translucent glazing material, intercepting direct sunlight with baffles and reflectors, or bounce sunlight high off a light-colored interior surface or wall. 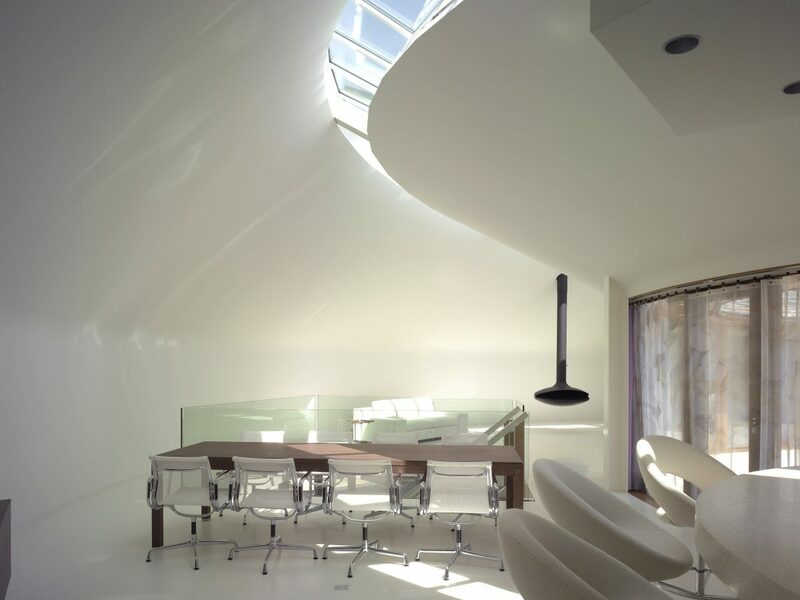 Shade the glazing from direct sunlight in summer.